The Lanier LD238c is a digital multifunction product (MFP), meaning that it comprises two interchangeable systems - one offering digital copying, network printing and scanning; while the other is an optional fax function, capable of advanced network scanning with email integration. It therefore has multiple functions - copying, printing, scanning and fax abilities; is extremely fast, therefore increasing efficiency; and has a document storage system. Lanier Worldwide Inc is a wholly owned subsidiary of Ricoh Corporation, the American sales and marketing arm of Ricoh Company Ltd. The company is world-renowned for its award winning solutions in the fields of color and monochrome printers and scanners; and digital and multifunction facsimiles and duplicators. 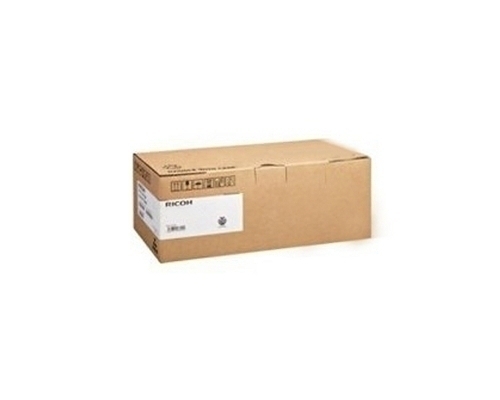 As a subsidiary of Ricoh Corporation, Lanier’s product is called the Lanier LD-238C, while Ricoh markets it as the Ricoh Aficio 3035, both being exactly the same product. This copier was launched in 2004, so it has a proven record over time. It is very reliable and compact and is presented as a completely multi-functional digital office system, which offers great performance and functionality. It is marketed as a basic walk-up copier, but may be customised to include many capabilities, tailored to your requirements. The standard version of the Lanier LD238C comes with TWAIN-compliant software for network scanning in both monochrome and full color; and also scan-to-email and scan-to-folder functions. The scan-to-email function converts a scanned original to a PDF or TIFF file, and is then able to send the document as an attachment to an e-mail – without the need for a server connection. The scan-to-folder function sends the converted files to a designated folder or FTP site, to be archived. This copier also has LDAP, which enables it to integrate information into an e-mail address book. Also standard in the Lanier LD238C is a 128 MB memory, plus 40 GB HDD. It has a G3 33.6 Kbps modem and up to three G3 fax lines for simultaneous transmission and reception. As top quality color printing has become the norm nowadays, it is a standard feature of this unit, which uses automatic color selection (ACS) to automatically optimise the speed of its output and toner consumption. ACS also prevents expensive printing errors, as it does not allow printing in monochrome while it is in full color mode, and vice versa. 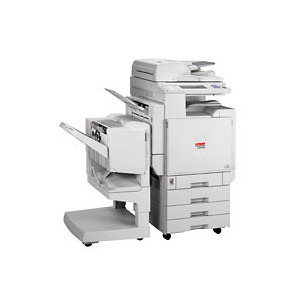 This fax/copier is able to print, in very high quality, 32 or 38 pages per minute in black and white, and 24 to 28 pages per minute in color. Its image quality is 1,200 dots per inch (dpi) at 35ppm, together with up to 11” by 17” scanning at 600dpi with 256 grey scales. It is able to print on both paper and transparencies. The warm up time for this machine is 15 seconds, with the first page emerging after 4.3 seconds. This very fast speed is achieved by the use of a 466MHz processor which is combined with a 384MB memory. Also included are two 500 sheet paper trays and one 50 sheet bypass tray, with a paper bank as an optional extra. There is a choice of finishes, which include single or multiple stapling and hole punching; and folded and stitched booklets. 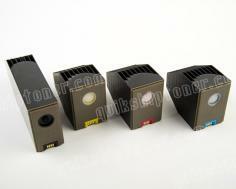 The Lanier LD238C may be upgraded at any time to keep pace with your requirements for years to come. 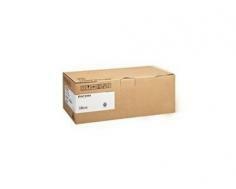 It features secure document handling and is highly cost efficient. Its fax functions - including access and forwarding by email and internet fax - dramatically reduces telephone costs. As this unit was launched in 2004, some may think that it is incapable of producing or handling the needs of today’s work places. Review it: "Lanier LD238c "
The Lanier LD238C uses toner cartridges, which are available as a single unit of cyan, magenta and yellow which, when mixed together, produce black; a pure black toner cartridge which has an output of 10,000 pages; and individual color toner cartridges in cyan, magenta and yellow – each of which is prints 10,000 pages.